This Justice League Combo C4 is the perfect bouncy house for little superheroes everywhere. 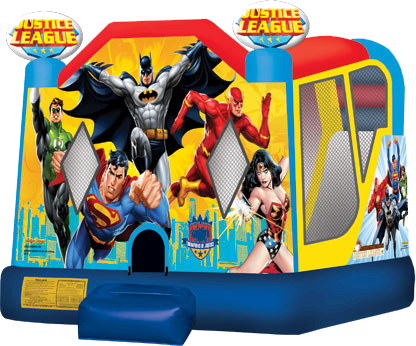 The Justice League is out in full force, as participants can play alongside the Green Lantern Superman, Batman, Flash and Wonder Woman in this entertaining bouncy house. 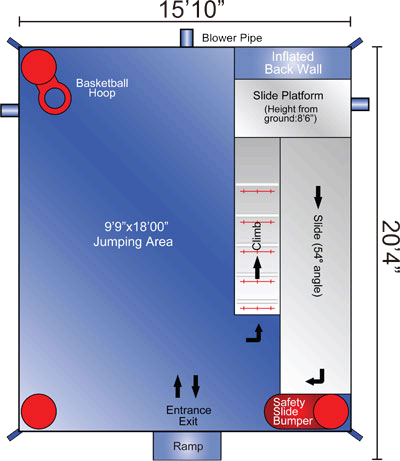 This super bouncy house lets visitors practice their best superhero moves with four different activities inside the spacious moonwalk. This awesome Combo C4 bouncy house is part of a complete line of licensed Justice League products, including jumps, combos, games and more.